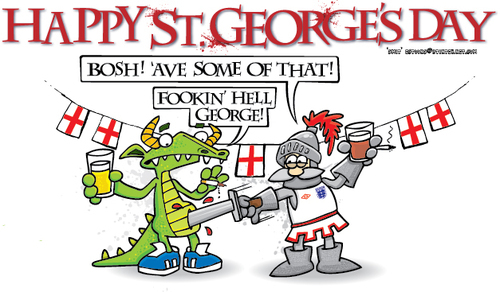 It’s St. George’s Day again! A great big Happy Birthday to England and his dragon-slaying patron saint! It’s a full-colour portrait of Jollimore from Secondary School by the Sea wearing his rainbow lei, as seen in Life is a Beach, by the greatly talented Lisa Saukel – AKA Lighane! Dartmouth: Easter – what’s it all about? Well, I’ll tell you one thing – it’s all about making yourself sick from guzzling on chocolate eggs. Jollimore: That’s the fun of Easter! Chocolate is just so yummy! And chocolate eggs come in all sizes and colours – big or small, milk, white or dark! Jollimore: Kids love Easter, too! 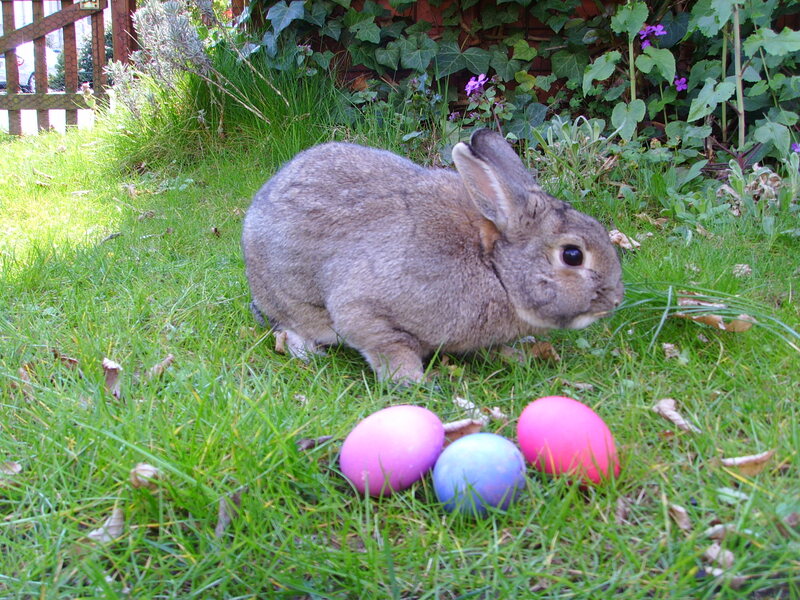 Along with all that yummy chocolate, they can also meet the Easter Bunny and go on fun Easter egg hunts! And paint them – some of the eggs we’re sitting on right now are painted! Jollimore: (also crunching on another Easter egg shell) Glad to see you’re getting into the Easter spirit, Dartmouth. You know, we searched out all these eggs ourselves – at our own school’s Easter egg hunt. Dartmouth: We? No, you just lazed around with those stupid kids while I did ALL the hunting. Jollimore: (seeming a bit taken aback) They joined in the hunt too! Easter egg hunts are meant to be a family thing, after all. Or should I say, a school thing. Dartmouth: Not from what I saw. You and those kids were cosying up to the Easter Bunny. And when I wasn’t looking, some of those little lovelies snuck up and gobbled them up straight from my basket! The absolute cheek of them! Jollimore: They can’t help it, they’re kids. They love chocolate. 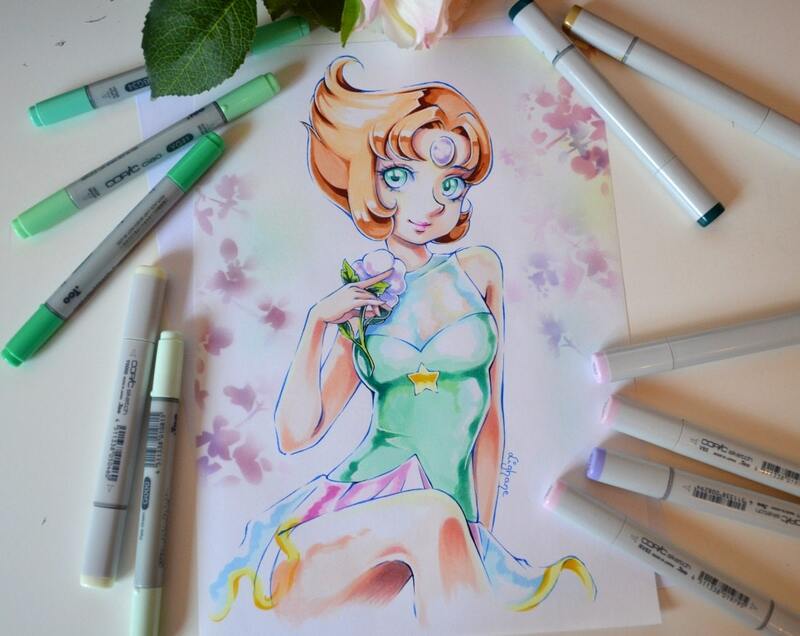 The protagonist of the show. He presents the popular prime-time variety TV show House of Canada, for which he dons a smart black suit with bowtie and coattails in place of his usual patriotic casual T-shirt and shorts. (He is shown in both of his outfits in this drawing, right at the top.) His father, Oshawa, assists him in getting ready for the show, and watches him from offstage. He is a boy who loves fun and creativity – he has a hand in scripting and animating many of the cartoons which are aired on his show. An 8-year-old boy. While he is usually very obedient, he does have his misbehaving moments. His favourite word is “guy”, calling many people – even complete strangers – by it, and even those who aren’t human. He has a brilliant photographic memory, which means he literally never forgets a face. He is cared for by his father Edmonton. Calgary’s father. He has a great sense of humour, loving to have a laugh with his son. Thanks to Calgary’s great obedience, he rarely – if not never – gets angry. His love of fast food – like pizza, fried chicken and burgers – has caused him to gain quite a lot of weight, giving him a puffy belly. His favourite activity with Calgary is the ‘Tree Game’, where he pretends to be a tree and lets Calgary climb up on him, but he often falls off in the process, always laughing it off. A 14-year-old French Canadian boy. He has an older brother, named Quebec, who cares for him. He speaks both English and French, the latter usually when he is with his brother or fellow Francophones. He is the perpetual love magnet of a girl named Laval, who is the same age as him and will never give up in winning him as his boyfriend – even though he doesn’t want it. He turns to his bigger brother when he needs to be comforted, often saying in French that he loves him so much. Montreal’s 17-year-old brother. He cares for his younger brother, and is also bilingual in English and French like him, speaking in the latter when around fellow French Canadians. He tries as much as he can to protect his littler brother from his pursuer Laval, consoling him when she inevitably makes her move. He is kind and understanding to Montreal. A 14-year-old girl who champions feminism. She has a dark mole on her upper left arm and a light brown birthmark surrounding her navel. She wants that girls and women be seen and treated as human beings, not merely sexual objects, and fights against any form of sexism – whether subtle or blatant. She also campaigns against the digital manipulation of photos and unrealistic body images in the media, which she says are damaging young girls and women’s self-esteem and happiness. Smart and always making the right decisions, she loves herself just as she is, and wants others to do the same too. A quiet 13-year-old boy. Never making a sound, he communicates using alternative methods such as signing, writing in the air and miming. He is bookish, but since he cannot speak, he can only blankly scan the pages. This is compensated for, however, by his vast imagination – he can think up all kinds of fantastic adventures simply by looking at an everyday object, like a spoon. Sometimes he can get angered by people talking too much, meaning he needs to be left alone, but his cute, taciturn charm never fails to attract adoration. An avid explorer. He always has his pink rucksack at hand – or on back – whenever he and the gang are ready to go on the wanderlust, keeping them entertained. He is secretly in love with Regina, who says she loves him just as he is, and vice versa. He keeps a library of travel guides and magazines, hoping to one day circle the world. A 21-year-old man. The most ‘cosmopolitan’ of the gang, he is a master of song and dance, writing his own compositions and choreographing his own routines. His signature song, Canadian Apparel, which celebrates the colour of the Canadian fashion industry, has become a hit for many, who will even imitate his posture whenever they see the music video on TV, or hear it on the radio. He has gained the moniker “Toronto The Good” as a result of his catapult to fame. His parents, Napanee and Deseronto, are greatly proud of his achievements in the arts, and he still pays visits to them at their house regularly. A 16-year-old boy. Despite being a senior high school student, he isn’t exactly bright or graceful, and is prone to tripping up and dropping things at even the slightest twitch, and daydreaming when he should be concentrating on something important. His scalp itches quite a lot, which causes him to scratch his head and have to wash his hair frequently. He can cause (unintended) harm to himself and others by doing outrageous things such as splattering himself with mud or eating grass, with him forgetting what he did afterwards. Sometimes, because of stress, he finds it difficult to sleep, and very rarely, he can become totally oblivious to his surroundings. Nevertheless, he has somehow managed to get himself a girlfriend, named Victoria. Vancouver’s girlfriend. A year younger than her boyfriend, she acts as a sort of caretaker for him, trying hard to keep him out of danger. If Vancouver isn’t around, she starts worrying for him and his safety. Because she feels that Vancouver would never be able to cope with life alone, she always stays with him, even if she suspects he’s going after another girl. She says Vancouver is a very special boyfriend to have, even just loving him as his crazy self. A 6-year-old boy. In stark contrast to Calgary, he is rather disobedient, often getting into trouble for the tiniest thing. He is overly sensitive, breaking down in tears whenever he gets punished, and shuddering when the bad memories creep back up on him. He is very creative, though, loving to write and illustrate his own stories and paint his own masterpieces. Although they were born two years apart, Calgary is able to carry him, and the sight is always a cute one to see. He is cared for by his father Winnipegosis. Winnipeg’s father. Unlike Edmonton, he is more serious and likely to get angry, due to Winnipeg’s disobedience. He is also even more aggressive, smacking Winnipeg with his meaty hands or lashing him with his black belt while shouting at him noisily. He seems to gain sadistic pleasure from seeing his poor young son in suffering, only comforting him if something or someone else has upset him. Despite all this, he loves Winnipeg and feels blessed to have him as his son. Some of these characters would later get a re-design, which can be seen below. 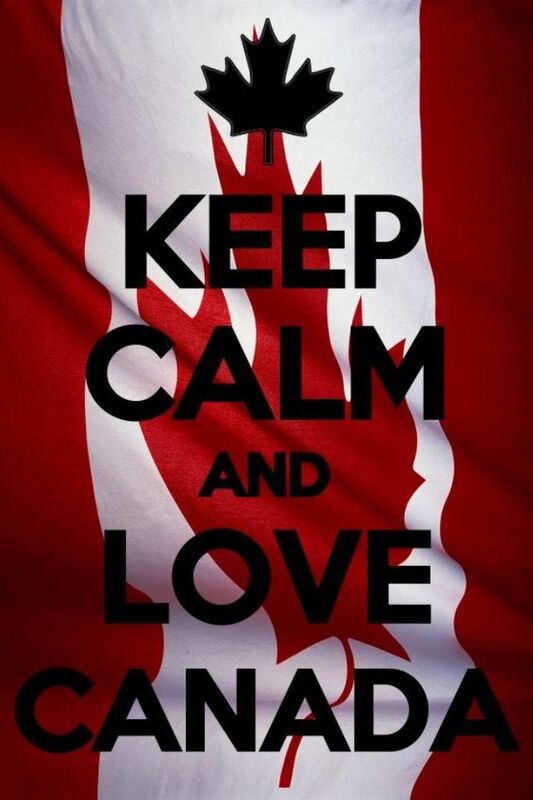 Despite what I said in the last post, I didn’t give up on America completely once I’d moved on to Canada – not quite yet. Since there were a few more months to go until I would officially begin the Canadian Boys series at this point, American Boys still had a little bit of life left in it. I calculated that American Boys would now be in its fifth season by this time, with a new season starting every six months, and so I would have to create more characters for it before another, bigger set of new characters came in. A self-absorbed 16-year-old girl. She’s always praising and congratulating herself, nose turned up and eyes closed with pride. She loves looking at herself in mirrors and having conversations with her reflection. She shows off in her walking stature, with others commenting they love the “way she moves”. A 22-year-old man. Having a twin brother named Greeley, he is slightly aggressive, and he shows this by shouting loudly and clenching his tight fists. He consumes a lot of meat so he can build up his muscles, but he then offsets it by eating heaps of candy. He relieves his anger by thumping pillows. Fort Collins’ twin brother. Even more violent than Fort Collins, shouting very noisily and clenching his fists so tightly together that he strains them. He is also more muscular, but like Fort Collins, his diet alternates between meat and candy. He relieves his anger by thumping pillows, just like his brother. A chocolate fanatic. He says that ever since he was born, chocolate has been the only thing that’s ever made it to his stomach. He eats chocolate bars, chocolate cake and chocolate cookies, and drinks hot cocoa and chocolate milkshake. He even uses non-edible chocolate things like soap, bubble bath and candles. Due to his undying love of chocolate, he has gained quite a lot of weight. He cares about the quality of his cacao beans. A shy and timid businessman. He sports a badge that refers to a certain computing corporation, and he always carries his ‘precious’ suitcase around with him. He is rather reserved in his speech, and he often hides behind other people’s backs, shuddering. He has a habit of laughing nervously and stammering when he gets into a spot of bother. Redmond is thought to be the timid brother of Seattle, which is actually true. A 23-year-old man. He leads his buddies, keeping them entertained when out and about. He frequently suffers from an itchy scalp, which is the reason for him often scratching his head, and regular hair washes. He loves the scent of fresh morning air. He has a brother named Tucson. Schenectady’s brother. He feels warm to the touch because of a special flame organ inside his body, providing natural central heating. Just like his brother, his head itches a lot, resulting in frequent head-scratching and hair-washing. He eats a lot of spicy food to fuel the fire in his stomach.